By, buy, or bye? 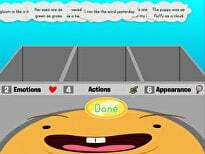 Does your second grader need some help with homophones? She'll get some practice with an important grammar concept with this colorful printable that asks her decide which version of the homophone "by" to use, based on the meaning of each sentence.